Sugar, sugar is every where, the headline on the latest news story, all over our social media feds, featured in documentaries like Fed Up and most importantly in your food! So I think we all have gotten the message, we eat too much sugar. 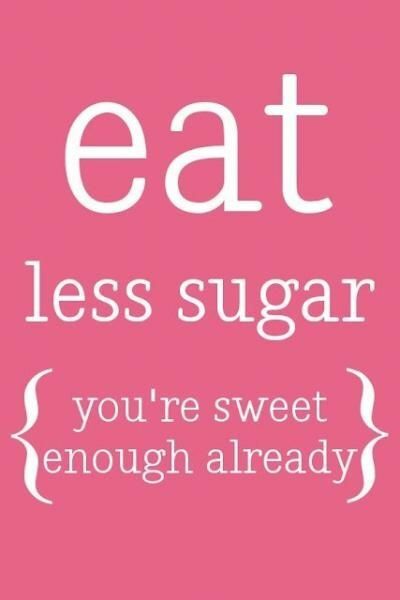 In fact we eat about 22 tsp of added sugar per day, the equivalent to about 350 calories per day. It is very important to make the distinction between added sugars and sugars that occur naturally in foods like fruits and vegetables. Added sugars is exactly what it sounds like, sugar the food industry will add to foods to make your food appear more tasty and more addicting, so you keep coming back for more. The American Society for Nutrition published a paper in 2011 showing American are starting to get the sugar bomb message, at least when it comes to what we drink. According to this study, sugar consumption went down by 23% between the years 2000 and 2008, mainly because people drank less sugar-sweetened beverages. But what about everything else in your day? Is there hidden sugar lurking? You betcha! So what are you going to do about it? I say take one of the most effective awareness exercises yet, The No Added Sugar Challenge. The No Added Sugar Challenge, was created to help make you aware of all the “health” food you are eating that is actually just junk food in disguise. The idea behind this challenge is to commit for 2 weeks to avoid all added/hidden sugars in your life. I am not asking you to never eat sugar again, but I guarantee during these 2 weeks you eyes will be opened to some poor food choices that you probably thought were healthy! Read the label every package, the food must pass the Altman Rule or have 2g sugar or less per serving. Dairy contains some natural sugar. Low fat milk is fine. Unsweetened and low-fat yogurt with less than 10 grams of sugar per serving is fine. I’ll be honest the first few days of The No Added Sugar Challenge, you are not going to feel great. You will probably get a headache, maybe feel a little tired and grouchy. But after those first 2-3 days, most people report feeling amazing, more energy, better sleep, less bloated and more in control around food. From there it is up to you what part of the The No Added Sugar Challenge, you would like to keep in your daily lifestyle, but based on how you feel I bed you will slash your daily intake of added sugar in half! This entry was posted in Altman Rule, No Added Sugar Challenge and tagged Behavior, beverage, Hidden Sugar, No Added Sugar Challenge, Sugar, Weight loss, wellness group, years to my life. Bookmark the permalink.